We use professional Unmanned Aerial Vehicles (UAVs) or drones to ensure the highest levels of product quality. 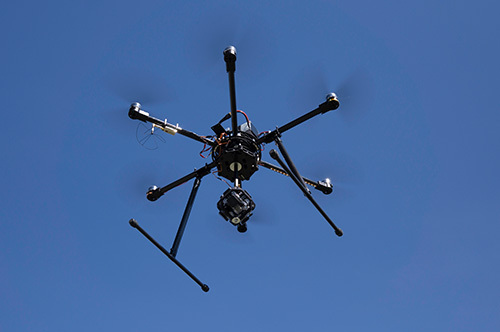 Our fleet consists of both multi-rotor and fixed wing platforms. See our fleet below for more information. Weather and water resistant, stable in strong winds and with self-heating batteries allowing for flights down to -20C, the M200 is the newest addition to our fleet. Equipped with the Zenmuse X5S camera and either a 15mm or 42.5mm Panasonic Lumix lens the M200 offers breathtaking high resolution photos and ultra smooth HD videos in a wide range of environments. 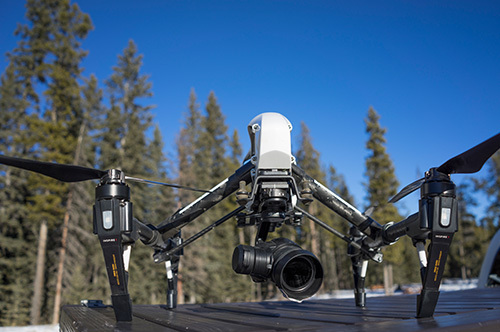 Equipped with either the Zenmuse X3 or X5 cameras and a 360-degree rotating gimbal the Inspire 1 Pro has been used exclusively for videography and smaller scale mapping work in the past year. It continues to be a highly reliable tool for videography and mapping work. 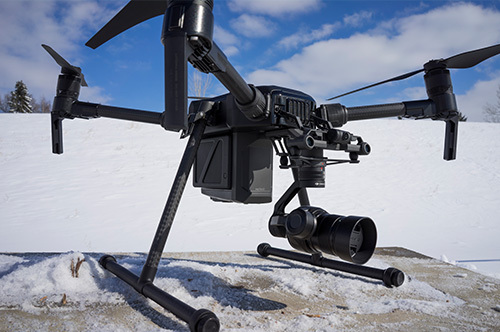 With a 20MP CMOS sensor capable of shooting 4K/60fps video, rigid airframe, 5-directional obstacle sensing and 4-directional obstacle avoidance sensors the P4 Pro is a perfect fit for some of the more demanding projects in confined, obstacle-filled areas, such as interior fly-throughs. The F550 is our flagship drone, used exclusively for professional quality aerial photography. With over 600 flights it continues to be the work horse of our fleet. It carries a Sony A6000 mirrorless camera with 19mm Sigma lens. 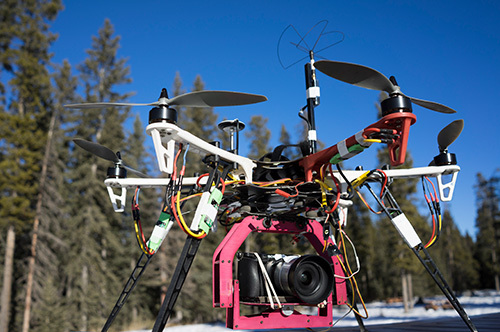 With this setup we are able to produce aerial photos of incredible detail and higher resolution than most DSLR’s. Custom-built from top quality components and capable of lifting up to 50lbs of payload, the Infinity-6 has been redesigned to be our 360-degree Virtual Reality (VR) video and panoramic photography drone specialist.